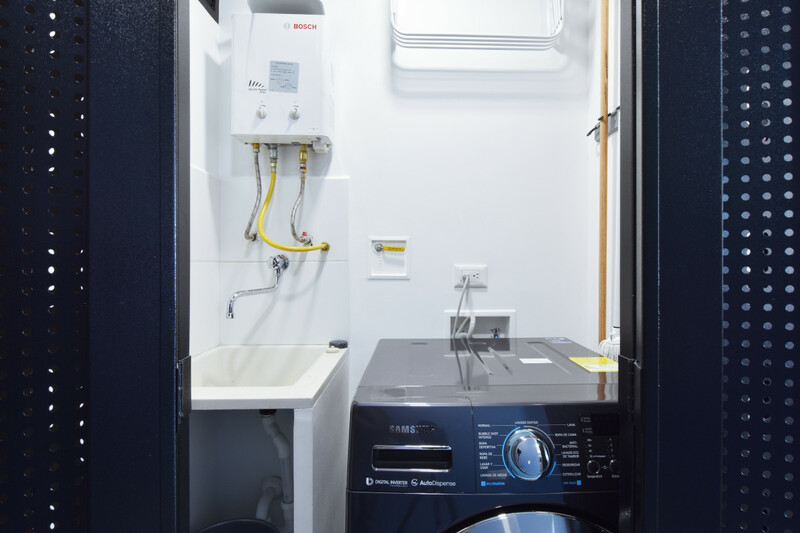 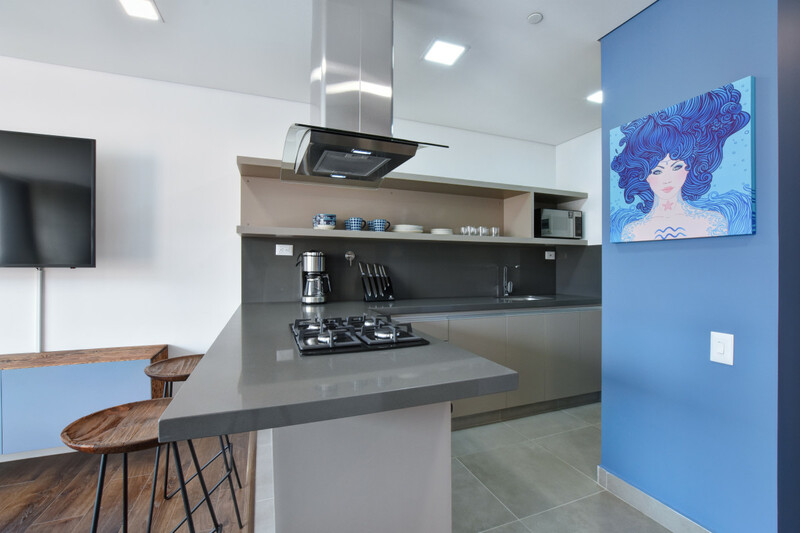 Located in a brand new, extremely modern building, this one-bedroom apartment is avant-garde and hip. 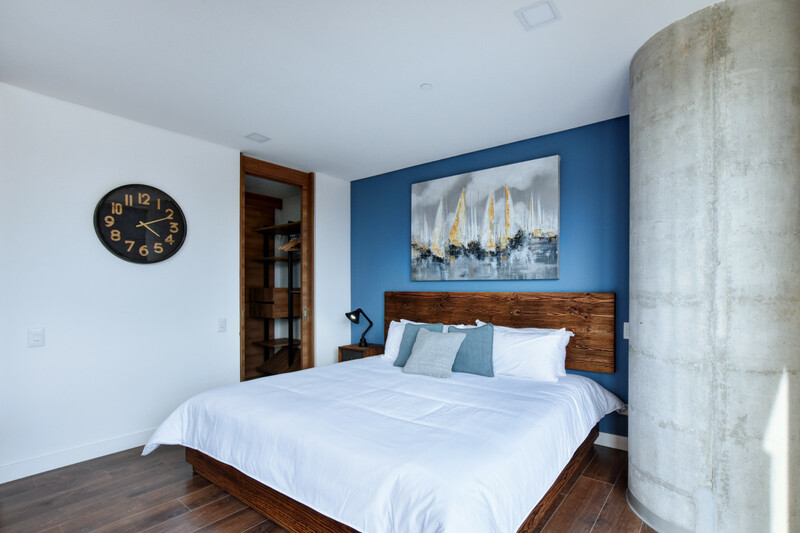 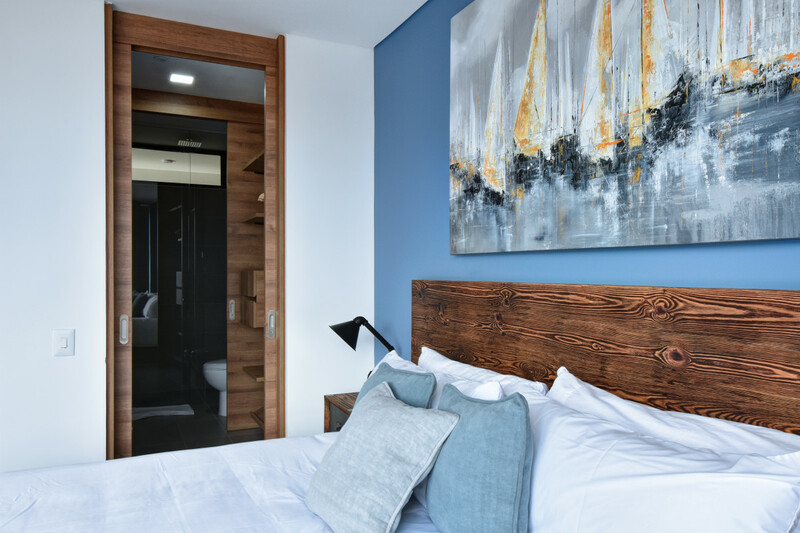 With all of the luxuries of a hotel, but offering privacy and space, this apartment is the perfect choice for any type of stay. 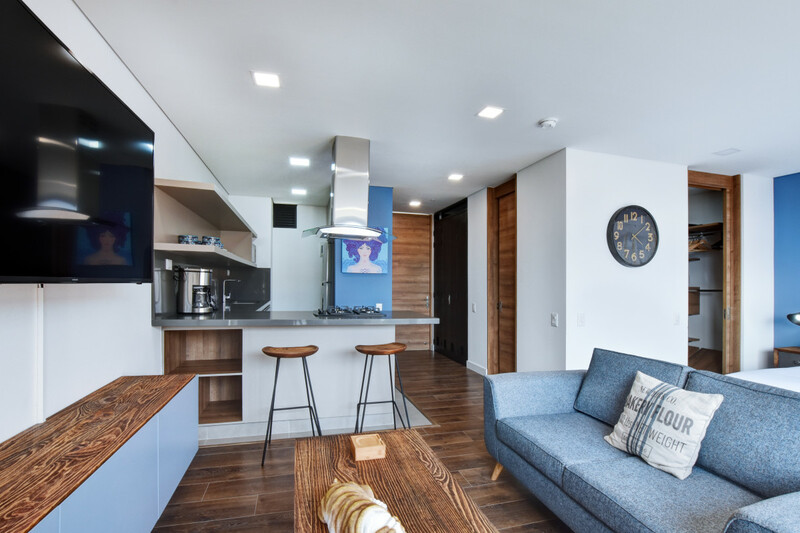 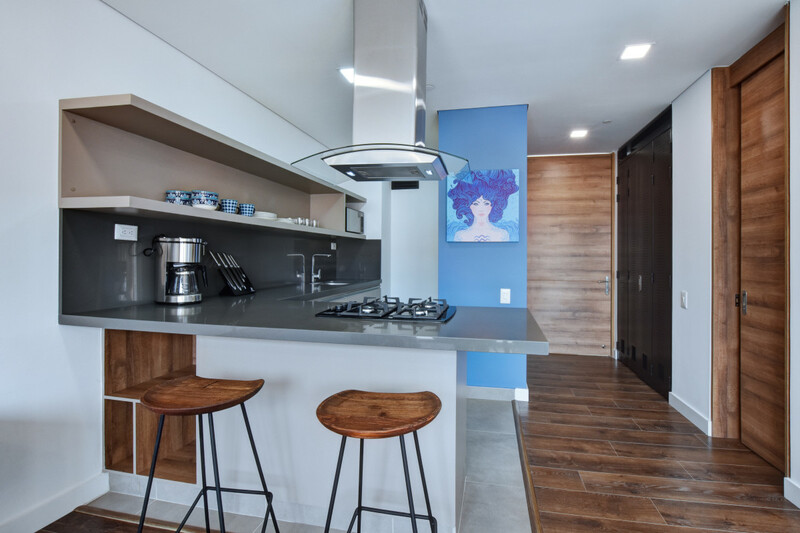 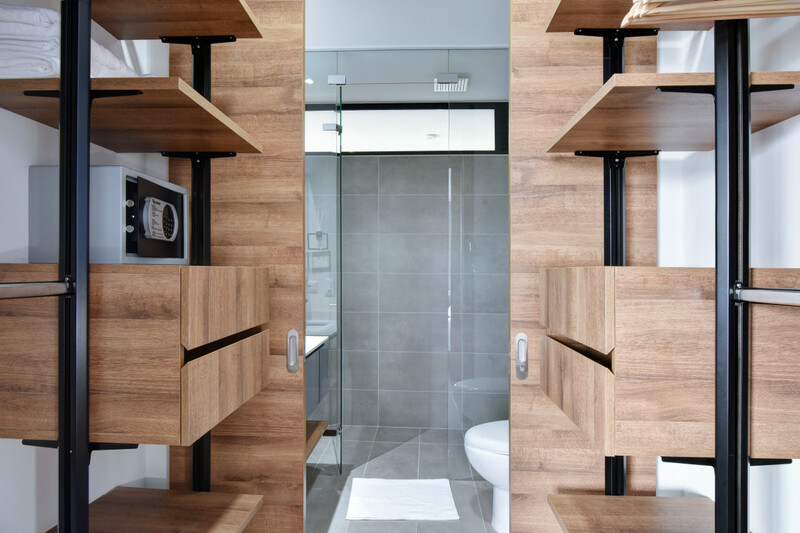 The colored apartment is a trendy mix of wood, glass, and steel really catching your eye. 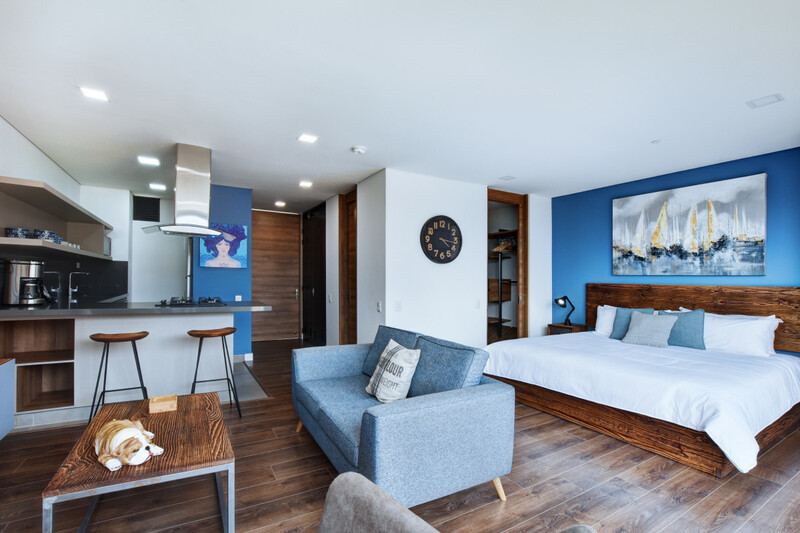 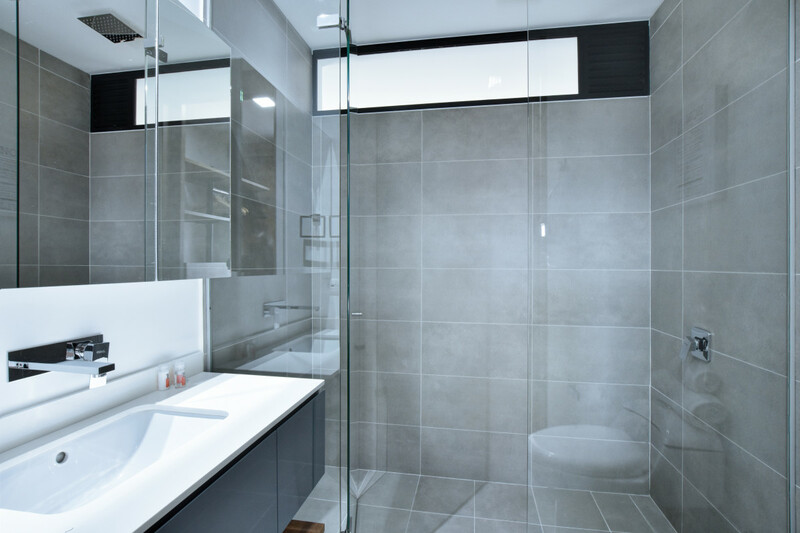 There is spacious king-sized bed and an accompanying chic glass tiled bathroom. 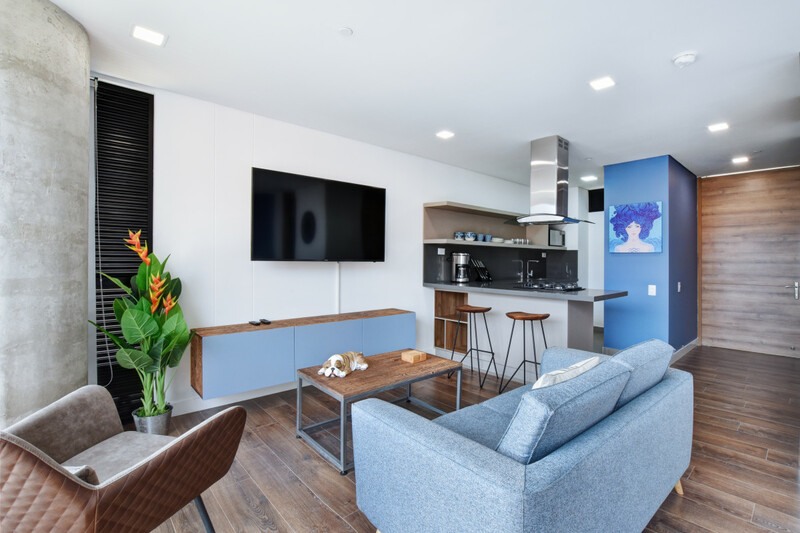 The impressive living area is decorated with contemporary furnishings and doted with splashes of colorful accessories and artwork. 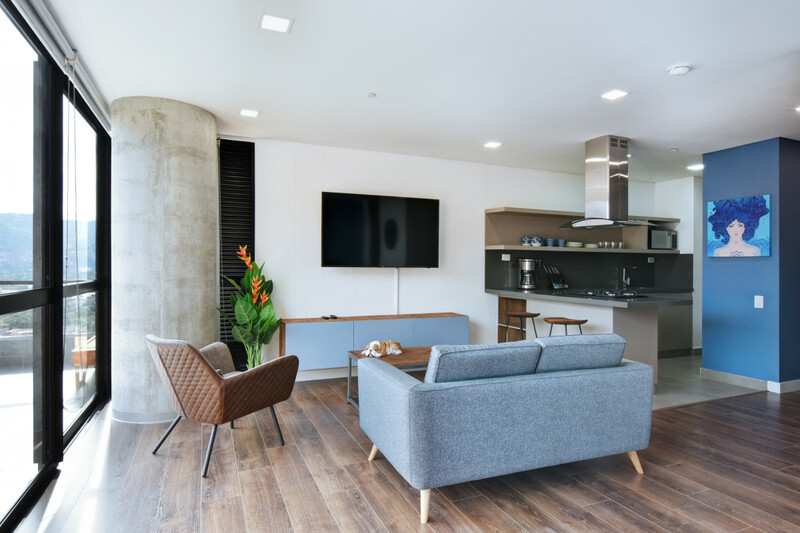 The floor-to-ceiling windows bring in lot of natural light and really open up the space. 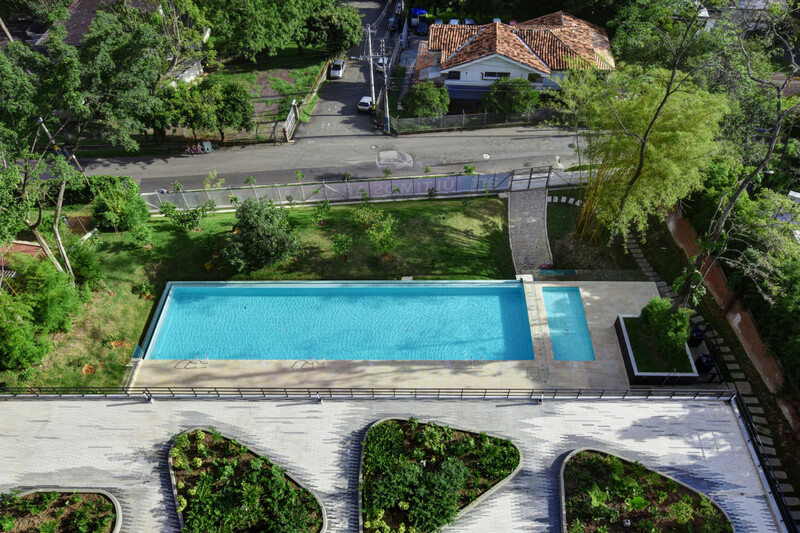 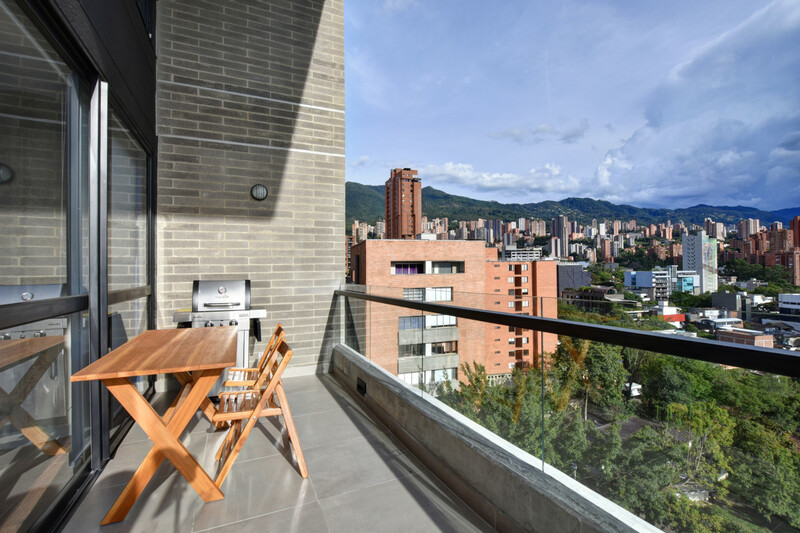 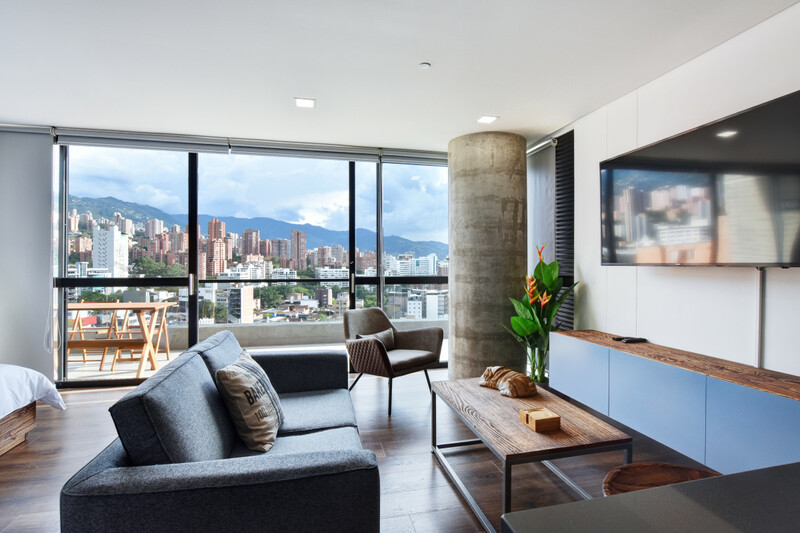 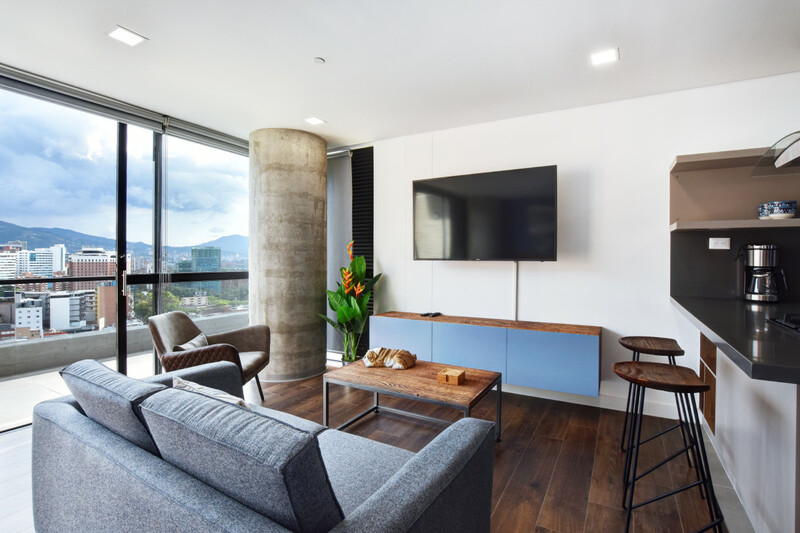 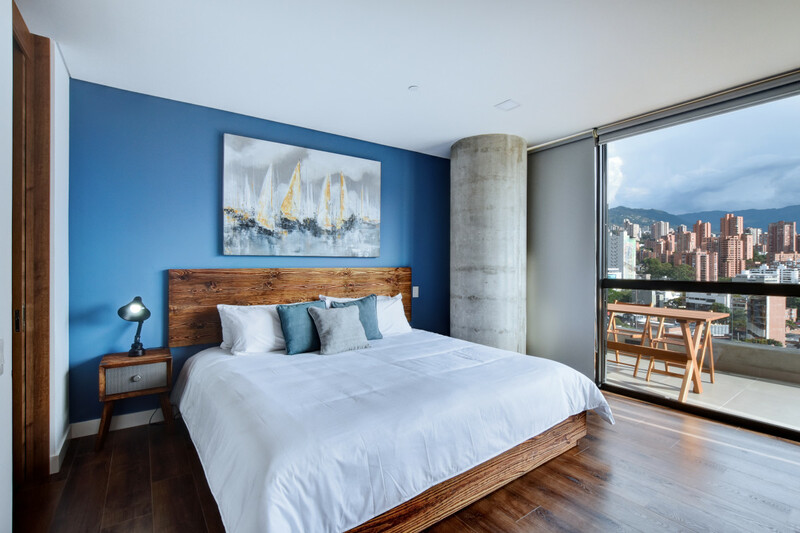 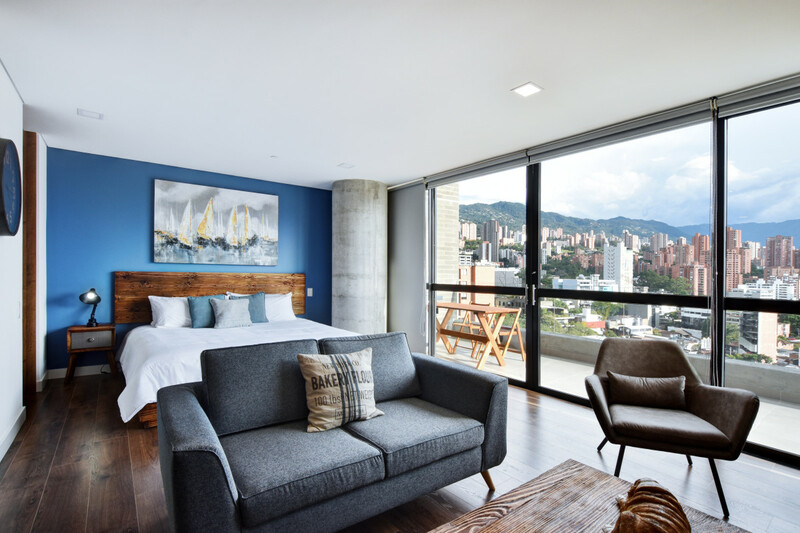 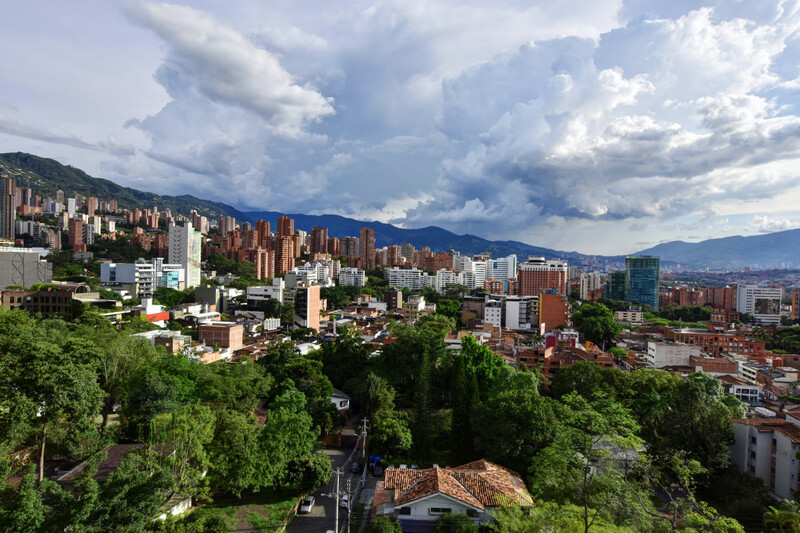 Off of the living room is an adequate kitchenette and a huge balcony with a one of a kind view of Medellin.